I've fallen in love with the Aveeno Stress Relief Body Wash thanks to the comforting scents of lavender, chamomile and ylang-ylang, and the Aveeno Stress Relief Moisturising Lotion is no exception! 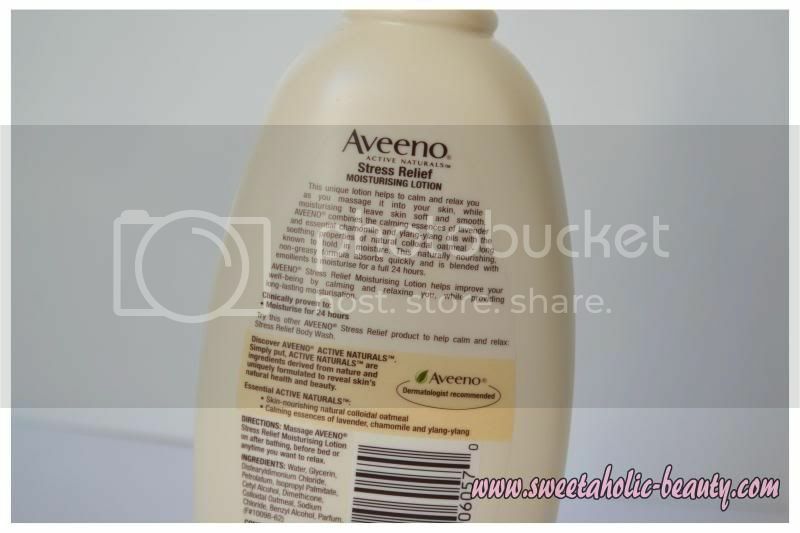 Much like the other moisturising lotions from Aveeno, the Aveeno Stress Relief lotion is created with natural colloidal oatmeal for sensitive skin. This lotion is designed to calm and relax, with natural essences to help sooth tired and stressed out skin! I usually slather this all over my legs and arms before bed, and the natural essences of lavender and chamomile definitely help to relax me! I find when I use this, I'm much calmer before sleep, and I find it a lot easier to actually fall asleep too. Much like the Aveeno Daily Moisturising Lotion, (review here) I was really impressed with how hydrated my skin remained while using this lotion. My skin is definitely softer, and smoother after using this lotion! As usual with Aveeno, I'm impressed. This is definitely one I will be repurchasing once I run out - which judging by the size of the bottle and how little you actually need to use! My boyfriend has actually inherited the Aveeno Daily Moisturising Lotion as his own now, as he too now likes to use a moisturiser before bed! Guess living with a beauty blogger has it's perks! 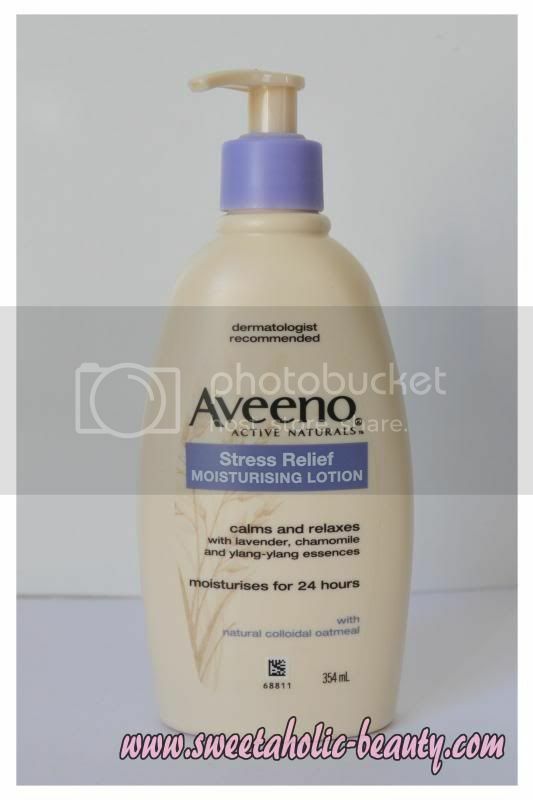 Have you tried the Aveeno Stress Releif Moisturising Lotion? Did you find it helped you calm down at the end of the day? Sounds great, I haven't tried any products, would surely wanna try .. When I first saw this appear on my dash I thought it was a really strange name to give a moisturiser, but it sounds lovely! I swear by Aveeno lotions! I seem to have this idea that Aveeno will break me out though o.O I don't know why I've never tried anything by them! Perfect Aveeno Stress Relief Moisturizing Lotion; my skin is little dry and it is a hydrating oil based lotion. I would try it for my self. Try Revitol skin care products.